Most people who have “had a go” at setting up their own Google AdWords campaign fail. In some cases, we hear horror stories of thousands of pounds being wasted for no or little return to the business. 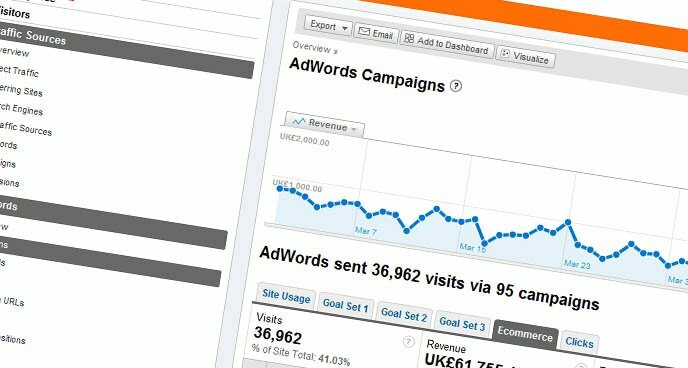 Since its launch in 2000, Google AdWords has grown from strength to strength, the simple to use system allows businesses to promote themselves almost instantly on Google’s search engine, its search network and other websites too. We have a number of options for setting up and running a Google AdWords campaign from instructor lead workshops through to dedicated campaign management, either way, with a Google qualified individual you have the peace of mind that you have somebody who knows what they are doing on your side.